We have been dragged into a new wave of war and violence in the aftermath of the massacre that took place in Suruç on July 20. President Recep Tayyip Erdoğan, who only two years ago declared “we will try every way for resolution. If the only way is to drink hemlock poison, we will drink that too in the pursuit of peace,” has now become the most public perpetrator of unrest. Erdogan’s illegal attempts to paralyze the political space clearly indicate the presence of a coup. The palace has taken democracy and peace as hostages. The failure to recognize elections, the arrest of politicians and proclaiming all who demand peace to be guilty are simply not acceptable. How many more have to die in order for people to understand that those who would like to postpone the possibility of peace will always lose? We see war, which stands for the continuation of discrimination, tyranny and violence agaisnt all those who are considered to be “others,” as declared on us LGBTIs. It is impossible to talk about an ideal of equality or freedom without peace. We believe peace to be an immediate necessity for everyone. War and violence of the palace is fed by militarism and a patriarchal mindset. As LGBTIs we reject this war; this masculine, patriarchal war. We demand an immediate policy return to a platform in which guns are silent. During the Gezi Resistance, we witnessed the power that emerges when we speak out collectively, listen to and reach out to each other. That is why we call for an immediate end to the deafening sounds of war drums. The resolution of the Kurdish issue is only possible through political understanding and peaceful dialogue. Military, police, guerilla and civilian casualties must immediately stop. We are certain that as a nonviolent and peaceful language emerges, humanity will prevail and only a handful of war hawks will object. We, as the LGBTI Peace Initiative, took our first step by coming together against war, to defend humanity’s and nature’s right to life. We are determined to multiply the voice of peace. 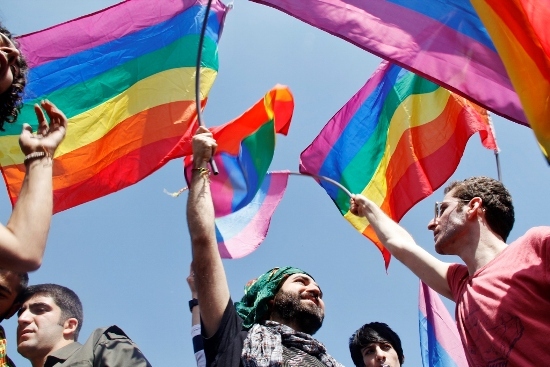 Only the combined scream of LGBTI and all other pro-peace individuals can stop the deaths, destroy the current environment of fear and build the peace. We set out with this belief. As LGBTIs who voice their opinion against war in every possible situation, we are commencing our efforts to achieve an immediate ceasefire and eventually communal peace. LGBTI Peace Initiative was formed by the coming together of various LGBTI solidarity associations and independent activists. Our aim is to communicate and organize peace. We will defend peace and humanity against those who want to sentence us to a lifetime of war. We call on all LGBTIs who wish to side with nonviolence and democratic conflict resolution to join our initiative and peace efforts. 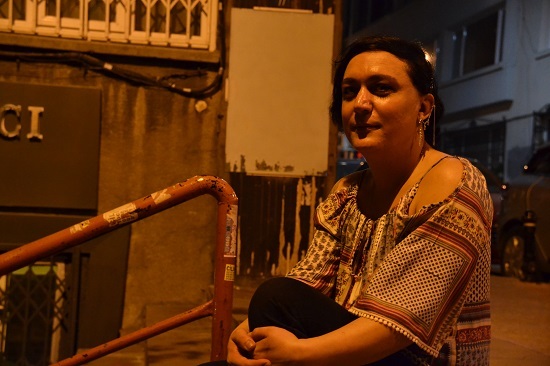 In the court case that started after trans women’s houses in Antalya were sealed and then broken, the court ruled that “no matter what, sealing and therefore preventing the use” of houses where people reside is against legal principles. On 25 December 2014, the Antalya Governorate’s Presidency of Commission on Venereal Diseases and Anti-Prostitution ordered the sealing of houses where trans women live in Antalya, claiming that the house “provided place for prostitution”. On 30 December, a case was started against the trans women for breaking the seals. In the trials conducted at the Antalya 20th and 4th Criminal Courts of First Instance, the trans women were acquitted of the crime of “breaking seals”. In both cases, the trans women stated that they were about to leave the house, that the process of sealing the house was illegal, that they were not in the house while it was being sealed and they moved after it was sealed. The court commissions accepted the trans women’s arguments and decided for acquittal.